Hey there, Toon- Skreeeeee- It’s me, genius mechanic extraordinaire Phil Errup an-SKKKCRASH- oof, and I’ve just come to an abrupt stop. I’m here to tell you that I have just made a breakthrough! 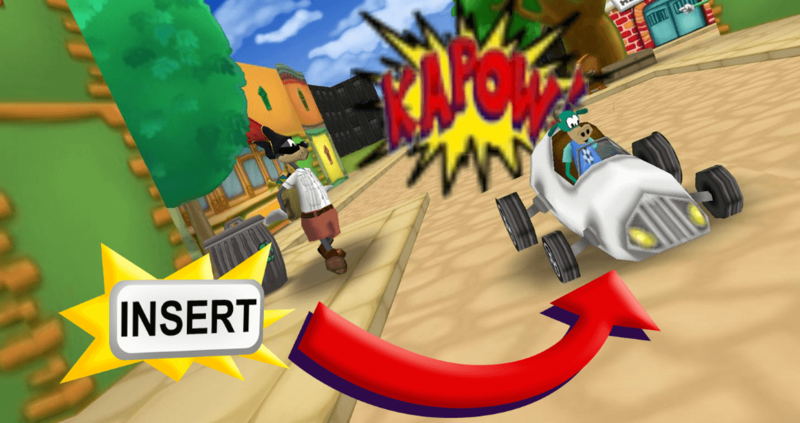 Starting today, you can drive your toon karts in any playground or street! This breakthrough was made by yours truly this morning when I had to escape from one of Anita’s rants about my mistreatment of my vehicle (Heh, guess I should have listened)! So, if you have a kart, go rip up the streets by simply clicking the Insert key on your keyboard! That's right, for the first time in Toon history, HIGH SPEED ARCANE ACTION is coming to a street near you! You can take your car and cruise around on the streets of Toontown! Transportation has never felt as convenient and smooth before, I'll say! Now, you’ll want to be careful when you’re driving. If you hit almost anything, you’ll lose lots of acceleration. That includes Cogs, but they’ll give you a painful surprise, so keep a keen eye out for those buckets of bolts! That’s all for today, Toons! I hope you enjoy this new feature, and remember to stay toony! Byter Jan. 23, 2018, 4:08 p.m.
DevilCatcher Jan. 2, 2018, 7:22 p.m.
ImaginationGamer22 Nov. 4, 2017, 6:54 p.m.
Not bad for a server that hasn't even been out for a year. Can you revamp the way we buy Doodles by letting us customize their appearance and traits? YesMan67 Sept. 17, 2017, 1:57 p.m.
Nice work! Can you increase the laff limit from 146 to a thousand? Flipz Sept. 9, 2017, 11:38 a.m.
Ace7765 Sept. 7, 2017, 1:18 p.m.
tfkjake Aug. 25, 2017, 2:43 p.m.
ifechi7665 Aug. 15, 2017, 9:48 p.m.
OMG - I can't wait to try this!! megamuffin Aug. 14, 2017, 4:45 p.m.
Nomnomcookees Aug. 4, 2017, 12:23 p.m.